We always have a good selection of superb classic bikes in stock. Click the picture for more information! To view the other bikes we currently have in stock, please look at our stock list. 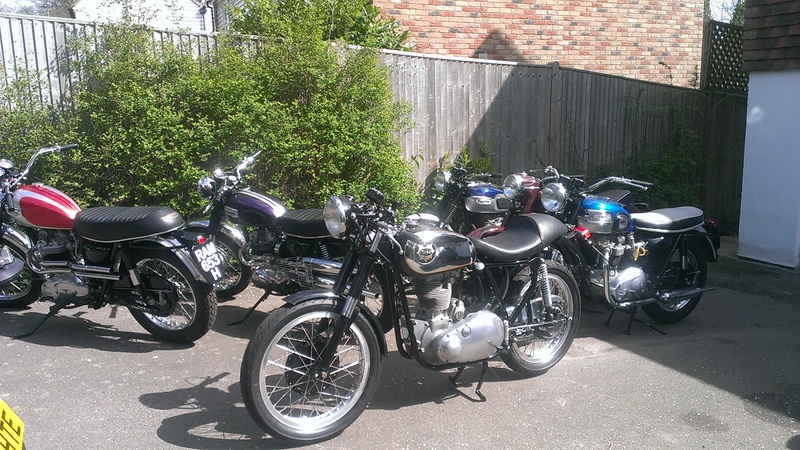 Welcome to the Classicbikes of Sussex homepage. Paul Higgins, the Proprietor, has been in the trade & riding bikes for over 35 years. Having sold his shop in 2007 after 20 years in Robertsbridge, Paul is now specialising in top quality classic motorcycles from all round the world. Please check the stocklist & adverts for regular updates. If you don't see what you want, Paul will source one for you through his many contacts. Paul is always available on the phone to arrange a viewing of the bikes at your convenience or for a chat about your requirements. Paul also buys bikes or collections. Delivery is available world wide. Paul looks forward to seeing old & new biking friends.